Transforming maternity care into an intimate and deeply personal experience. The U.S. is ranked 33rd among 179 countries on the health and well-being of women and children according to the 16th Annual State of the World's Mothers Report. The data is consistent with the numbers in the Centers for Disease Control and Prevention's pregnancy mortality surveillance system. Pregnancy-related deaths in the U.S. have more than doubled from 1987 to 2011, according to the CDC. More than a third of births in the U.S. are Cesarean sections. Studies show a correlation between unnecessary medical intervention and negative outcomes. We're leading the effort to improve maternity care in our community. We empower women with the care and resources to not just survive childbirth but feel confident, prepared, and supported through the entire process — from preconception through labor and delivery, to postpartum, breastfeeding, newborn care, and beyond. We've restructured the typical patient experience from the ground up. Instead of the rushed, impersonal, or rigid feel typically associated with healthcare, the atmosphere and service you'll receive at Family Birth and Wellness is friendly, caring, warm, and professional. 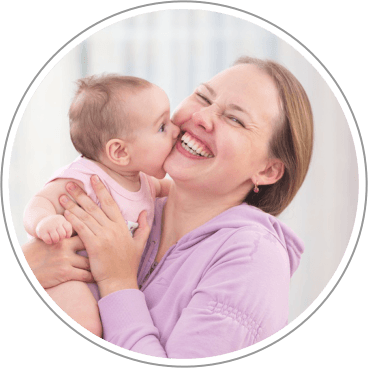 We provide the resources and personalized care to promote the health and wellness of mothers during pregnancy and to empower you to make informed decisions. Birth is a natural process that sometimes requires medical intervention, but interfering in the natural process with unncessary intervention actually creates more stress and discomfort for mothers and babies and increases the risk of negative outcomes. 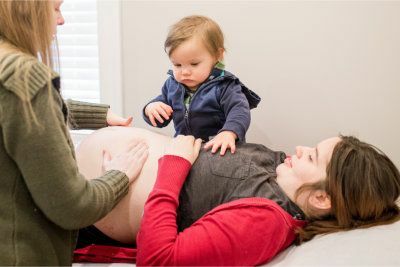 At Family Birth and Wellness you're far less likely to have a cesarean, we don't perform routine episiotomies, don't require women to labor in unnatural positions, and accommodate mothers with a wealth of resources to assist the natural labor and birth process. We believe birth is not just a medical event, but one of the most exciting and challenging life experiences women and families will ever face. We encourage and motivate you through that long process with education, 24/7 availability to answer your questions and concerns, and the care of experienced medical providers who are passionate about seeing you healthy and successful. We provide a full range of maternity and women's health care services, including prenatal, labor and delivery, and postpartum care. We maximize quality interaction with you and focus on creating a premium experience from start to finish. We have an experienced obstetrical team consisting of licensed nurse midwives, a collaborative physician, nurses, and support staff who are passionate about providing an exceptional experience. It's about more than just healthcare, but building long-lasting relationships and trust. Our state-of-the-art building is designed for safety and intimate comfort and privacy. Beautiful birth suites, birth tubs, comfortable amenities for patients and our guests — with a warm and hospitable atmosphere, you'll feel right at home. We empower women with care that's personal and attentive. We take the time to listen to you and discover your unique needs. That means longer office visits, more accessibility to your provider, and utilizing evidence-based guidelines for care. With tens of thousands of hours of experience, training, and an impeccable safety record. We love when we're able to connect with you and give the feeling you're part of our family. We're focused on providing an exceptional experience, while making sure you and your baby's safety is the top priority. Listening and understanding the unique challenges and questions each woman is facing is the basis for great care. Prenatal, postpartum, and labor and delivery in our luxurious birth suites. Plush amenities, and warm and personal care. Certified lactation experts on staff and thorough and loving newborn care. Annual exams, well-woman care, hormone testing and treatment, fertility care, and much more. Childbirth education, healthy living and wellness classes, help through postpartum depression, and more. We believe in providing you a personalized health care experience that takes into account your unique medical history and preferences. We take the time to get to know you and your body. We listen to your concerns, questions, feedback, and desires. Every woman is unique and special — we want to get to know you and make sure your desires and needs are respected. We strive to use the best available research and use our extensive clinical expertise to drive decision making. This results in presenting our patients with the data to make informed decisions based on sound evidence. We focus on proactively diagnosing and resolving potential health problems instead of only treating symptoms. We belive in holistic care where overall health and wellness are critical to avoiding illness. We provide you with the information you need to make informed health care choices, not just informed consent. Intervention is sometimes medically necessary, but unnecessary intervention often leads to increased risk. We believe in minimizing unnecessarily invasive procedures while being vigilant of the health and safety of mothers and babies. Join our monthly newsletter to receive company updates, medical research, birth stories, event invitations, and more. Only once a month — we promise to make it worthwhile. © Copyright 2012-2017, Family Birth and Wellness. All Rights Reserved.